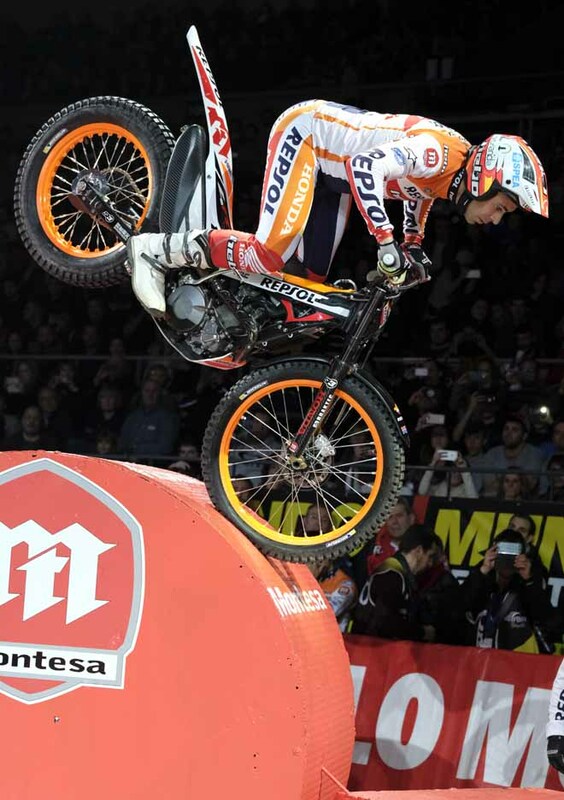 Reigning and already ten times champion Toni Bou – Repsol Honda opened the defence of his FIM X-Trial World Championship with an emphatic victory at the first round of the series in Barcelona, Spain. 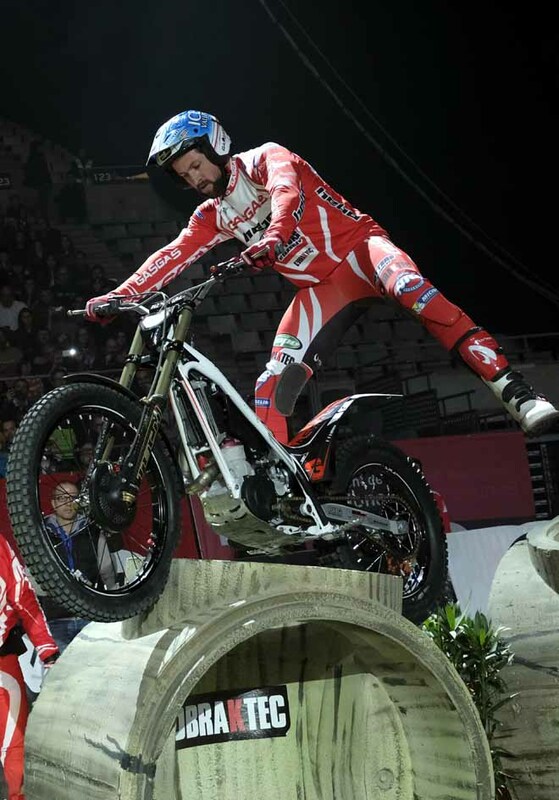 On a night when this famous event celebrated its 40th anniversary with a parade of previous winners and competitors, Bou cemented his place as the greatest of all amongst these victors with his eleventh win inside the Olympic arena. 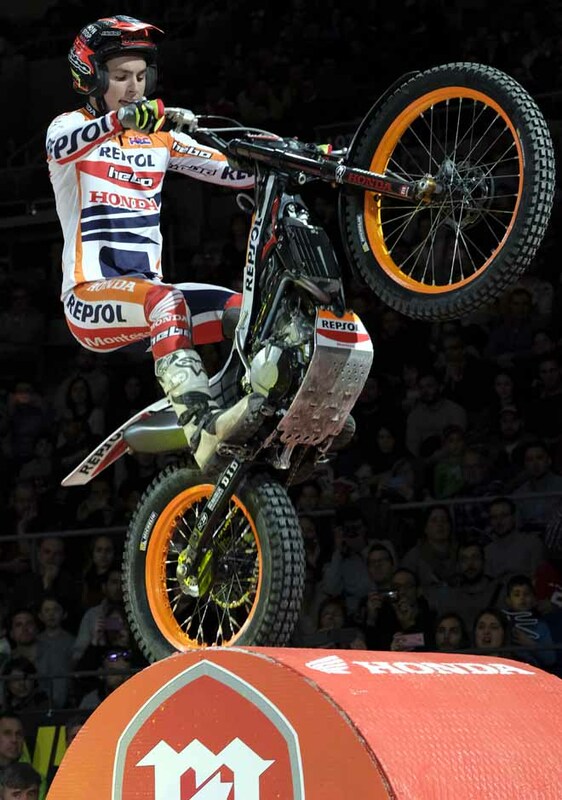 Although eventual runner-up Adam Raga – TRS offered a brave fight but he had no real answer to King Toni. 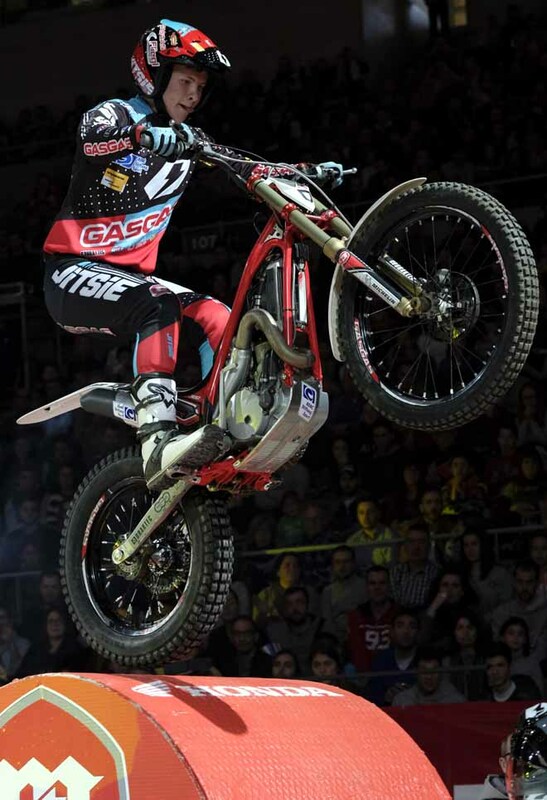 The last podium place was finally decided by a fraught tie-decider with Jeroni Fajardo – Vertigo snatching it from Albert Cabestany – Sherco. With just five sections in play during qualification, the initial lap always promised to be a tight and tense affair and certainly lived up to the expectations. 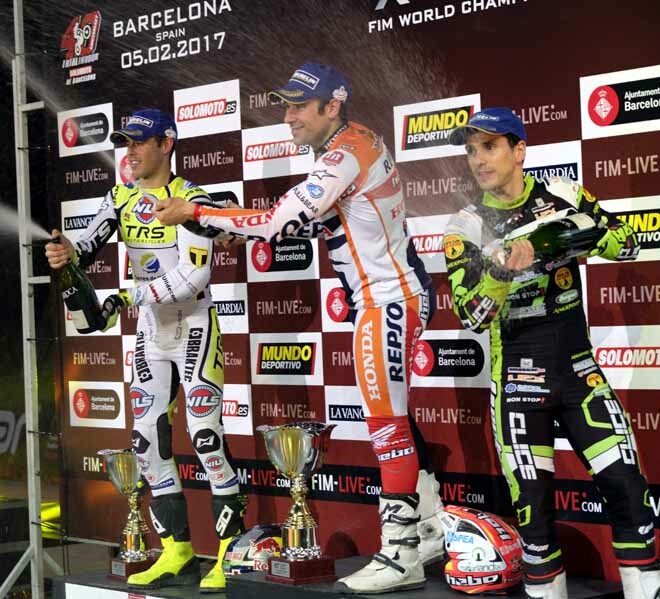 Showing no nerves on his full debut on the series Franz Kadlec – Gas Gas stole an early advantage over his equally young rival Jaime Busto – Repsol Honda as the German rider won the first speed section of the night by a single second. Busto responded well to this premature defeat and posted a total of ten marks over the opening five sections and was unlucky not to transfer to the final, yet could still be satisfied with his fifth position. Kadlec produced a spirited performance, but ended his debut on twenty marks and down in eighth spot. 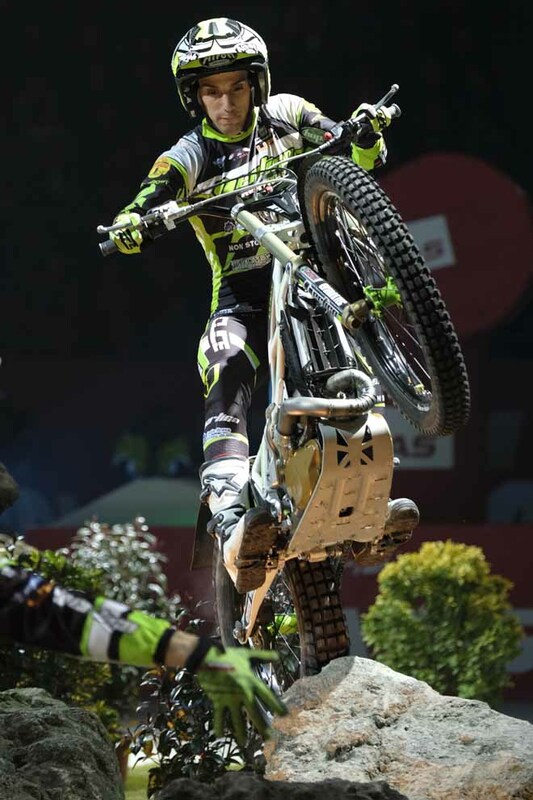 Fajardo got the better of James Dabill – Gas Gas in their initial sprint duel and the Spanish rider was to continue his superiority through the observed hazards too as he completed qualification for a mere six marks. This proved to be some eleven marks in front of Dabill who did not enjoy the best of nights in his new colours as he finished in a disappointing seventh. 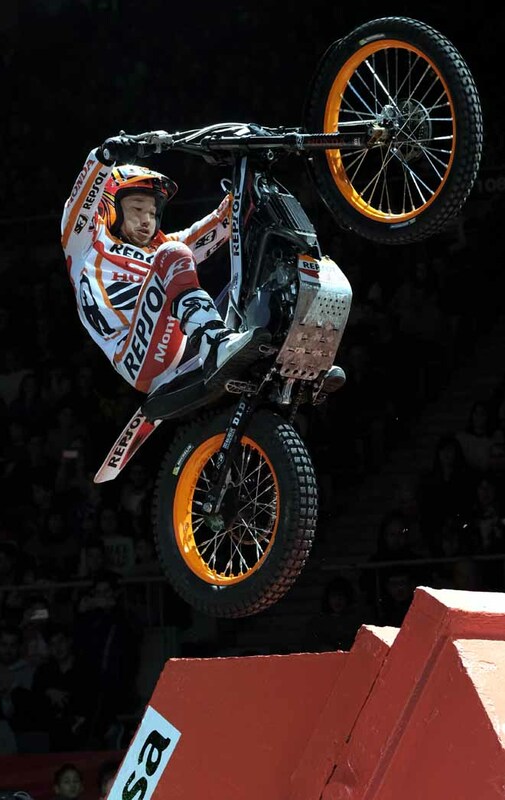 Just a few fractions of a second split Takahisa Fujinami – Repsol Honda and Cabestany –after they raced around the speed section, with the Japanese veteran edging this first test. However, Fujinami failed to use this initial gain and with a total loss of twelve marks had to be content with sixth spot on this occasion. After a shaky start Cabestany recovered well to book his place in the final as he parted with six marks in all. 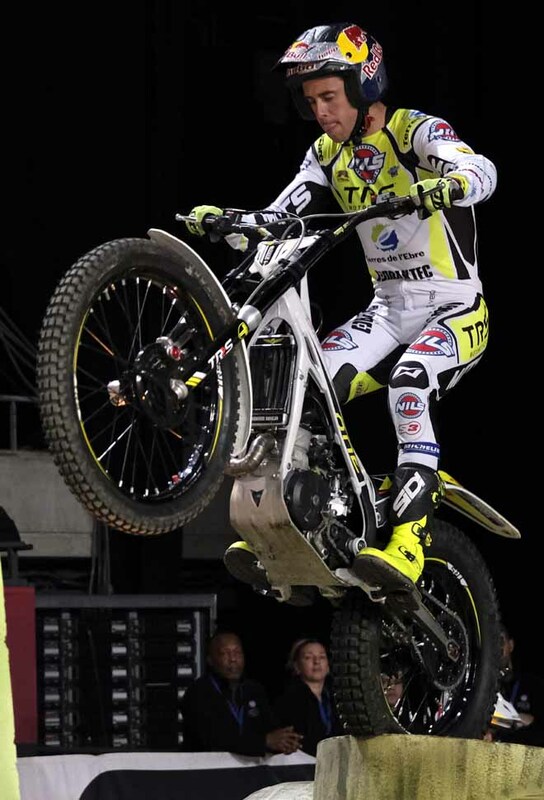 The final pairing of Bou and Raga started with Toni winning the sprint, before the two favourites then surprisingly fived the first section to leave themselves with little room for any further errors over the remaining four hazards, if they were going to make it through to the four-rider final. Confirming their absolute pedigree both Bou and Raga managed to stay clean for the rest of the lap to join Cabestany and Fajardo in the next part of the competition. 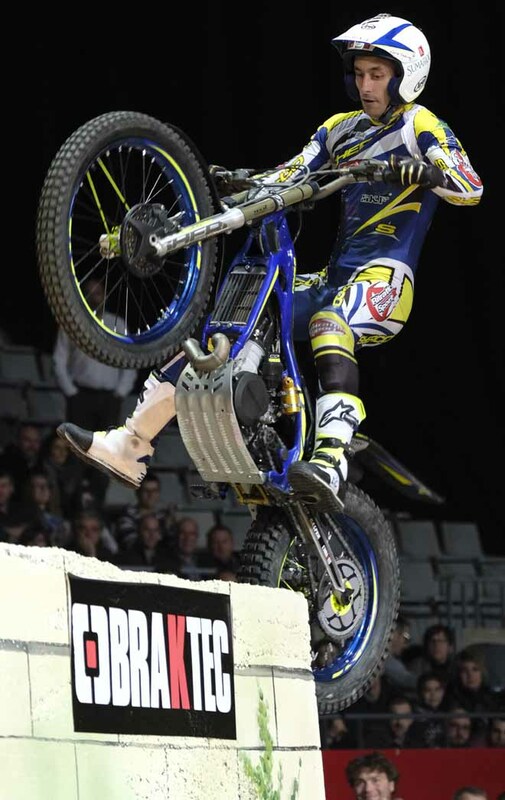 Typically it did not take long for Bou to establish a clear lead as the final came to life, his clean in the second section set the tone and by the time he became the only rider to be faultless in the fourth hazard the writing was already on the wall for his last remaining rivals. Confirming his absolute superiority Toni cleaned seven out the eight sections in the final to end the night sixteen marks ahead of Raga, although Adam’s score could have been slightly better if he had not chosen to be so extrovert in the closing watery zone. In reality Fajardo and Cabestany were never at the party and just became embroiled in a struggle to secure the last rostrum position. Jeroni was quickest in the speed section tie-break to seal his maiden podium place for Vertigo in the FIM X-Trial World Championship. The title fight will resume in Wiener Neustadt, Austria on 11th March.